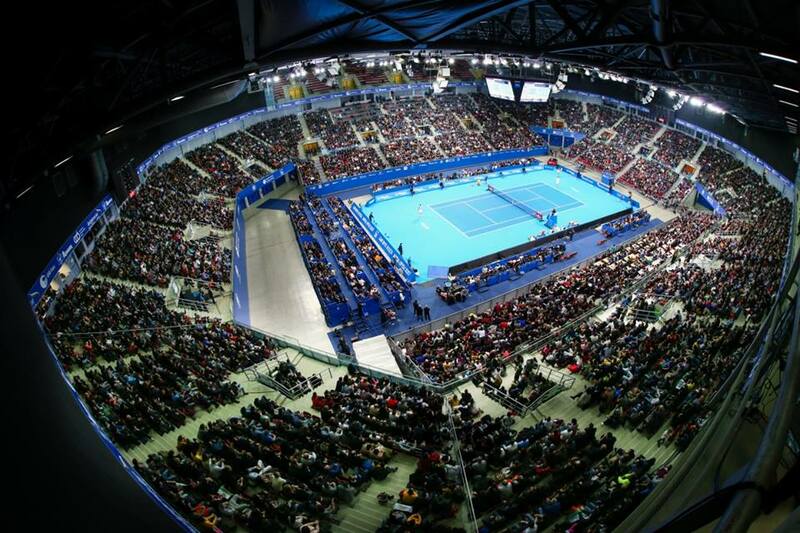 The Sofia Open is a men's ATP World Tour 250 series tournament played on indoor hard courts. The tournament will take place from 3 to 10 of February 2019 in Sofia. The fourth edition of the big tennis event in the Bulgarian capital is set to be the strongest and already generates serious interest. Six Top 30 players and former №3 in the world Stan Wawrinka will take part in the 4th edition of the Sofia Open ATP 250 tournament. The battle for the title at Arena Armeec hall will be the strongest in front of the Bulgarian audience. The tournament was held for the first time as part of the 2016 ATP World Tour. Wawrinka is three times Grand Slam winner (2014 Australian Open, 2015 French Open, 2016 US Open) and has won 16 career titles. Tsitsipas (№15 in the ATP rankings) just became a Next Gen ATP Finals champion in Milan. Karen Khachanov, the Paris Masters 1000 winner (№11 in the world), Nikoloz Basilashvili (№21), former Sofia Open champion Roberto Bautista Agut (№24), Fernando Verdasco (№28) and Gael Monfils (№29) are the other stars to play in the Bulgarian capital. Stan Wawrinka (Switzerland) is the 2008 Beijing Olympic doubles champion and 2014 Davis Cup winner. Khachanov has won 3 ATP World Tour titles. Tsitsipas won his first ATP World Tour title in Stockholm. He lost the final at Toronto Masters 1000 after becoming the youngest who defeated 4 Top 10 players in one tournament. Fernando Verdasco has 15 ATP World Tour titles (singles/doubles). He played 62 Grand Slam tournaments in a row – the second longest all time streak.